Marine - New England Electrical Contracting, Inc.
Marine wiring takes specialized expertise. 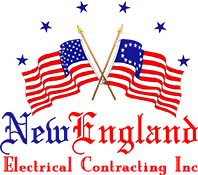 New England Electrical Contracting has extensive experience with what is required to make sure the job is done correctly, and safety is our top priority. We specialize in dock wiring, dock lighting, marina wiring, and shore power. New England Electrical Contracting has over a decade of experience and will ensure that your marine wiring is safe and reliable.